Need a new hobby in Chicago? When we talk to our clients, many express that they have wanted to take ballroom dance lessons while living in Chicago, but life just got in the way or they just never got around to scheduling a lesson. Some of our clients feared that it would just be to hard, but were very surpised once they made it into the studio. Taking ballroom dance lessons not only improves your posture, but also helps with confidence and poise. Taking a dance class is a great way to take your mind to magical place where you can't be bothered by an email, facebook message, or your boss calling you last minute to finish that project. For many, ballroom dance lessons, were a part of their school curriculum, but eventually schools no longer required the subject to be taught. Ballroom dancing is great hobby to share between 2 people. It builds trust and requires cooperation. Many of our clients not only want to study ballroom dance styles, but also want to try some social dance styles. Salsa dancing is another type of dance that is a fun hobby and creates a social opportunity for students to grow new relationships outside the studio. Invite a friend or a significant other to come try a private ballroom dance lesson or a salsa lesson. During our private dance lessons we work on multiple ballroom styles. Sometimes we see the same patterns in specific dance styles, but by changing the timing we can use that same pattern in other ballroom dance styles as well. Ballroom dancing is a category of dance that includes multiple dance styles. Some of these dance styles include Rumba, Cha Cha, Swing, Foxtrot, Waltz, Bolero, and more. Dancing with the Stars has helped educate the public about many ballroom dance styles. The television series is creating a desire within our society to just get out there and dance. This past season of "So You Think You Can Dance," showcased a number of talented ballroom dancers. 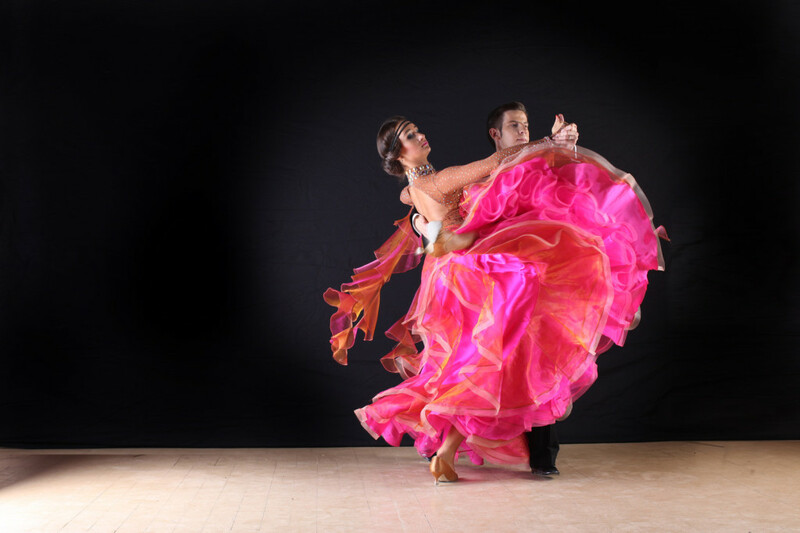 Beginners can enjoy ballroom dancing at Windy City Wedding Dance by taking ballroom dance lessons or dance classes right in the heart of Chicago in the South Loop. If you want to become a a good dancer it requires dedication and consistency. Like any new hobby, we all need to dedicate time to the activity. After all, ballroom dancing is a physical activity and requires muscle memory. Scheduling a weekly ballroom dance lesson ensures that you will progress from week to week. If we don't practice our dancing, we can become a little rusty. To compliment private dance lessons we offer ballroom dance classes. Our classes are 4 weeks long. One of our classes covers ballroom dancing and the other is our salsa class. Our specialty, Wedding Dance Lessons, are offered to any couples getting ready for a special event. The foundation of our curriculum comes from ballroom dance. Some of the most popular styles for the First Dance include, Rumba, Swing, Foxtrot, Waltz, and Salsa. Many couples find the dance lessons very enjoyable. Our clients enjoy positive atmosphere and the feeling of accomplishment. Our dance lessons guarantee smiles.